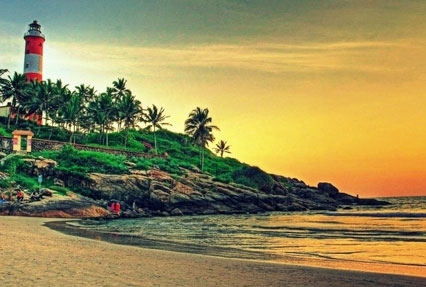 Trivandrum Beach Tour is an exceptional holiday tour planned to let you explore the capital of the “God’s own Country” Kerala. The place is a vital center of culture and heritage. Home to enthralling beaches and grandiose temples, there are countless tourist destinations in Trivandrum that make a trip of the city a captivating experience. During the tour our journey would traverse to various alluring cities ranging from Vythiri, Kumarakom, Periyar, Marari, Kovalam and Trivandrum. Come travel with us to these stunning places for a complete travelling experience. On arrival in Calicut meet our representative, drive to Vythiri, transfer to the hotel. Spend the remaining day at leisure. In the evening you may take a leisurely walk to explore the nearby area. Later return to the hotel for dinner and overnight stay. In the morning after breakfast, move out to explore the resort town nestled deep in the interior of Wayanad’s forest. Soak into the dense green surroundings and its breathtaking serene surroundings. Later enjoy trip to Chempara peak located 15 km away from Vythiri. You may also drive to another 22 kms to catch a glimpse of the beautiful Soorjipara Falls. The other major tourist attractions to visit in Vythiri include Akshipathalam, the Edakkal caves, Meenmutty Falls and Banasura Sagar dam. In the evening return to the hotel for dinner and overnight stay. Post breakfast, proceed towards Marari. This is a small sleepy fishing village tucked away a line of dense palms that rises like a green fortification of the sands. On reaching Marari, check-in at one of the listed hotels. Spend the rest of the day at leisure. Enjoy dinner and overnight stay at the hotel. Next morning after breakfast, drive straight to Kumarakom. On reaching Kumarakom, check-in at the hotel to relax in the comfortable surroundings of the hotel. 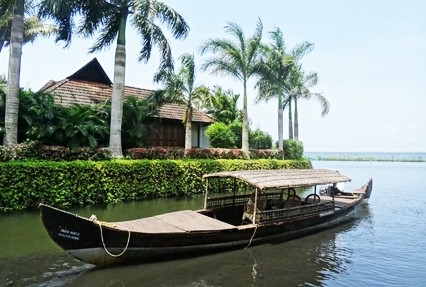 Later in the move out from the hotel to enjoy a boat ride on the Kumarakom Lake and enjoy the rest of the day at leisure. Enjoy overnight stay will be at Kumarakom. On the following morning after breakfast, drive towards Periyar. On reaching Periyar, check-in at one of the listed hotels. 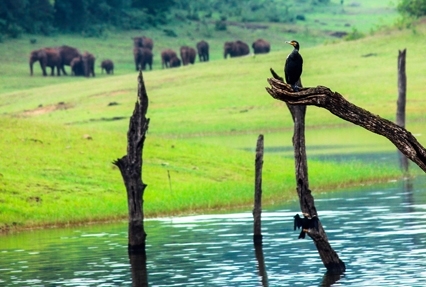 After resting for a while proceed to explore the Periyar Wildlife Tiger Reserve to enjoy the jeep safari. 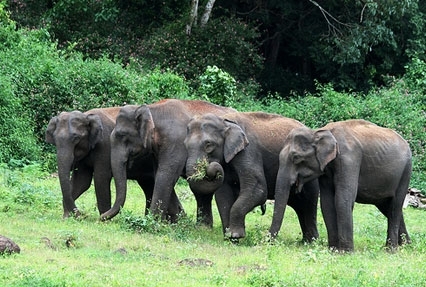 Periyar is a true paradise of elephants. 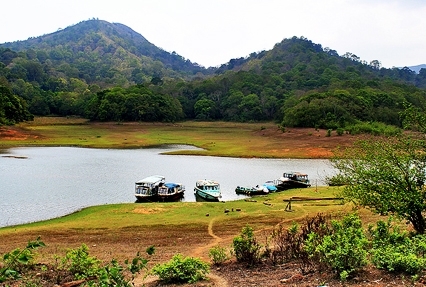 Later in the evening you may enjoy boat ride at Periyar Lake. Enjoy a comfortable overnight stay at the hotel. In the morning drive towards Kovalam. Check-in at one of our listed hotels, on arrival. After relaxing for a while move out for an excursion to Kovalam Beach. The beach is ideal for various kinds of water sports like kayaking, surfing, skiing and swimming. You may pamper yourself with a body toning massage at any of the centers of your choice. Later return to the hotel for dinner and overnight stay at the hotel near the beach. Today spend all day enjoying your days bathing under the sun. Enjoy the scenic beauty of the mesmerizing beauty of the Kovalam beach while being pampered with some rejuvenating Ayurvedic therapies at the Ayurvedic Treatment Center in Kovalam. Enjoy dinner and overnight stay at the hotel. In the morning after breakfast, drive back to Trivandrum. On reaching Trivandrum, transfer to airport to board a flight for your onward journey.